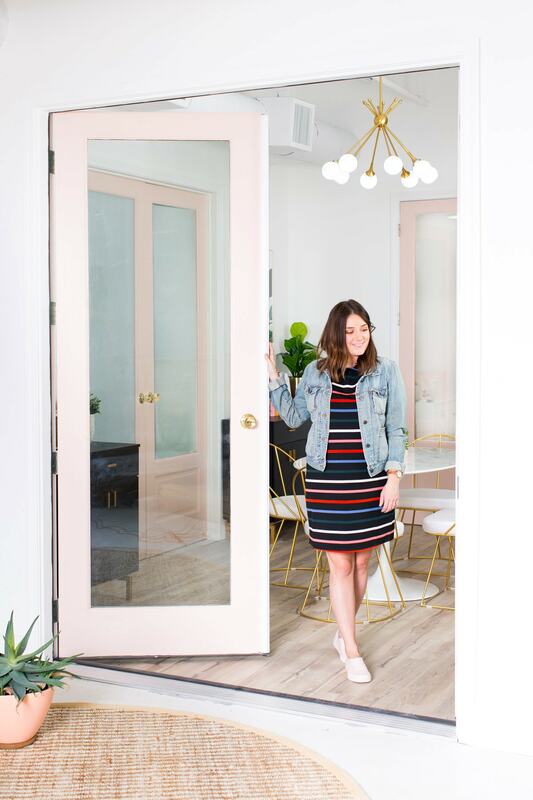 While we’re all on break, it seems like as good a time as any to share a Sugar & Cloth studio renovation update with you while the space is semi-clean, ha! 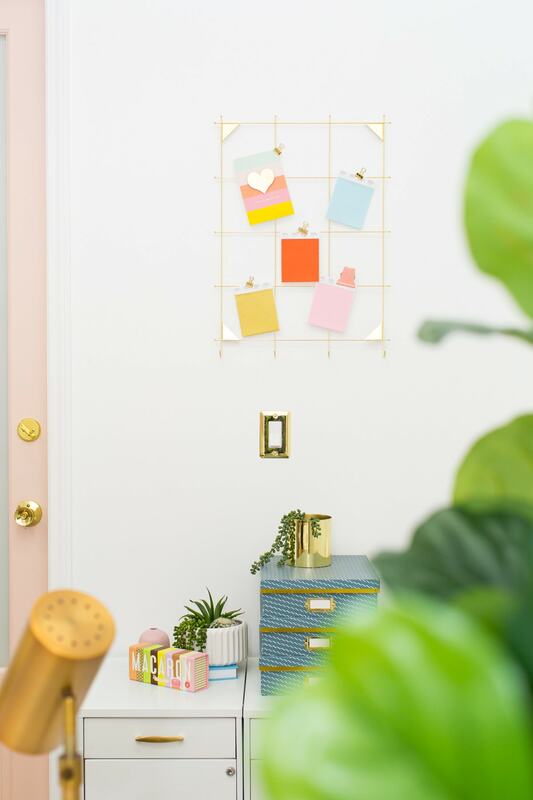 I mean, sure, I still have a few mini Christmas trees around even though our holiday shoots are over, but it’s finally all coming together after a Summer full of renovations (and setbacks! ), one hurricane-induced flooding, and a burst pipe leak that led to a visit from the fire department. There’s never a dull moment around here, my friends! 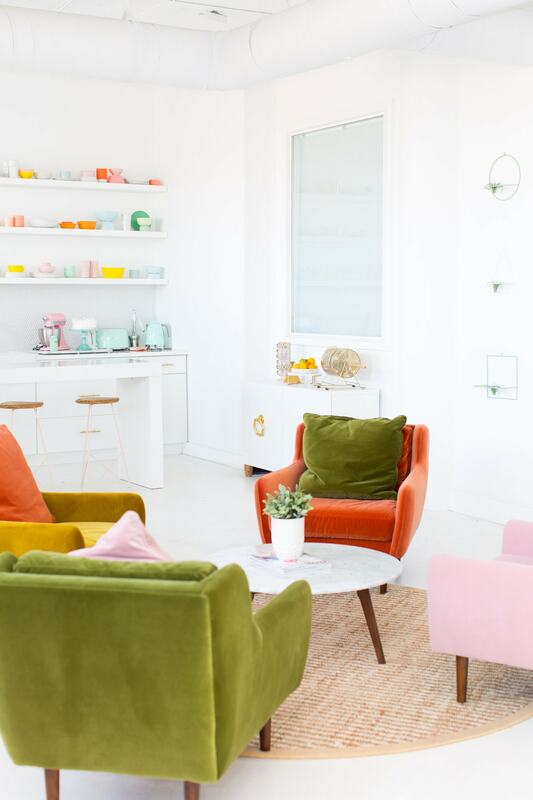 On a brighter note, everything is just as colorful as you’re used to seeing, plus has a few added touches of pink. 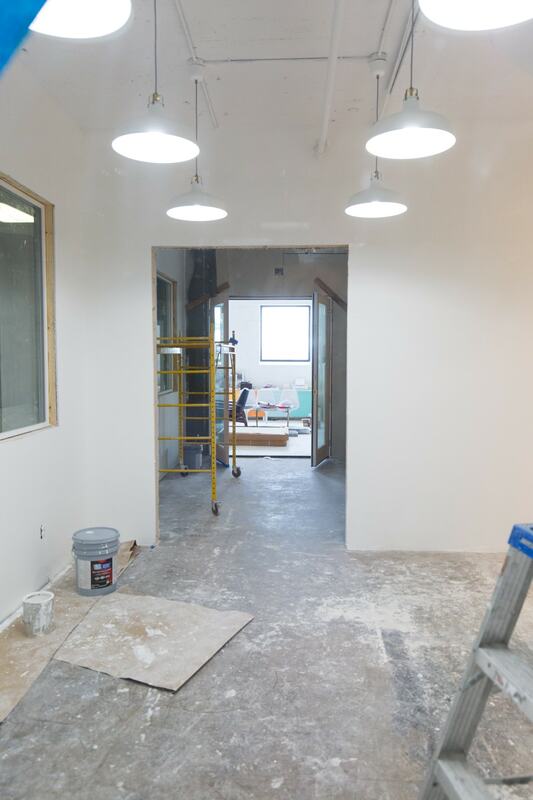 We’ll be sharing a full studio tour with all of our renovation sources and newly organized supplies here soon, but the build-out of the new side of the studio is by far the biggest change. We knew we wanted to add as many windows for getting the natural light from the main space into the new side as well and decided to go with Milgard windows for those. The top priority we had for choosing our new Milgard vinyl picture windows was that they be low maintenance and help with noise reduction on top of fitting the part aesthetically. 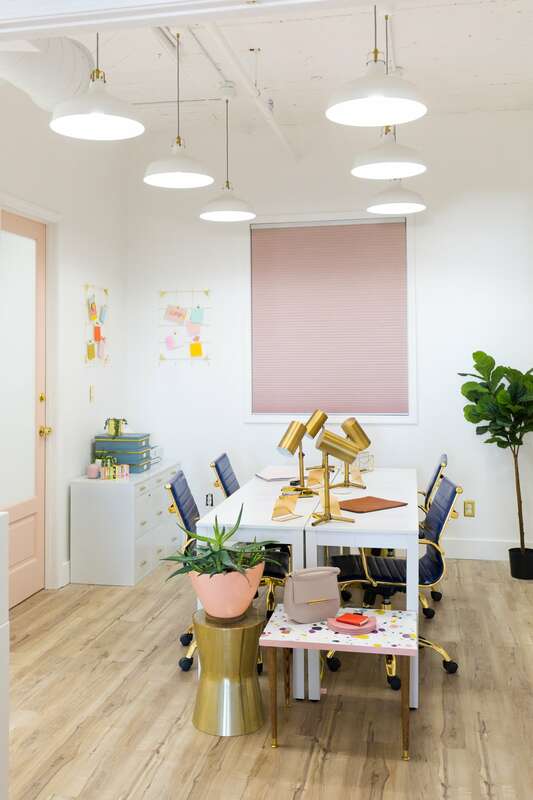 They also help with energy efficiency which is awesome because we expanded our pre-existing heating and air conditioning into the new space rather than having an additional unit installed. 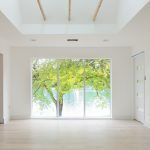 While we won’t be in this studio space forever, if you’re looking to get the windows installed in your home Milgard comes with a full lifetime warranty to the original purchaser of the windows. Which living with Houston weather and storms that’s a major bonus!! 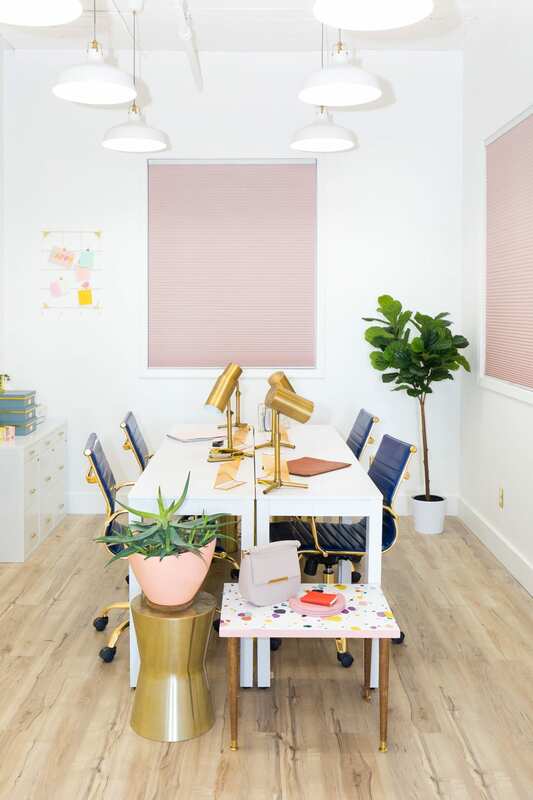 We still wanted to keep as much privacy as we could since our studio is adjacent to the Tout Suite HQ offices, so we decided to get custom Blinds.com Economy Light Filtering Cellular Shades in Dusty Rose for all of the windows. 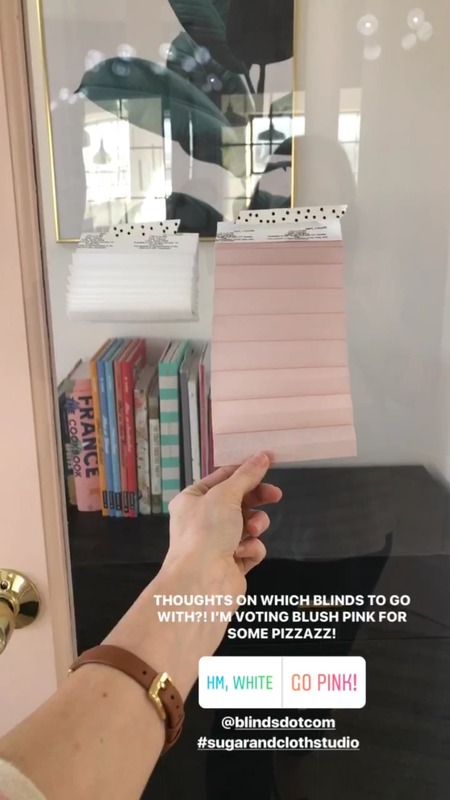 I wasn’t sure if we should go with pink or white shades for the space, or if the pink with pink french doors would be too much, but after sharing the samples on IG stories with you all I’m so glad we went with the dusty rose! I also have to take a second to rave about how insanely simple it was to install the custom color and sized blinds ourselves. 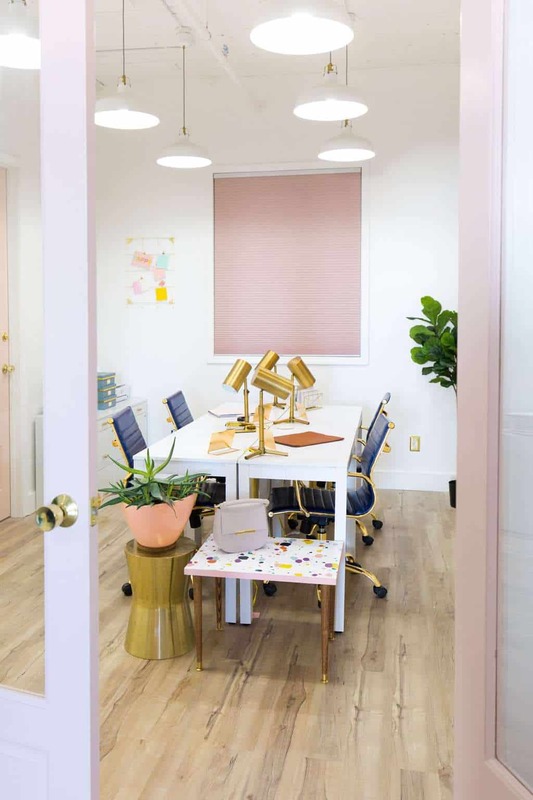 We’ve never had custom blinds before and we were DEFINITELY intimidated at first, but they give you a really thorough measuring template to follow beforehand to make sure they fit your windows precisely per window and not just a standard size throughout. As it turns out, not all window trimming is made equally, haha. The learning curve with construction is steep, ya’ll! 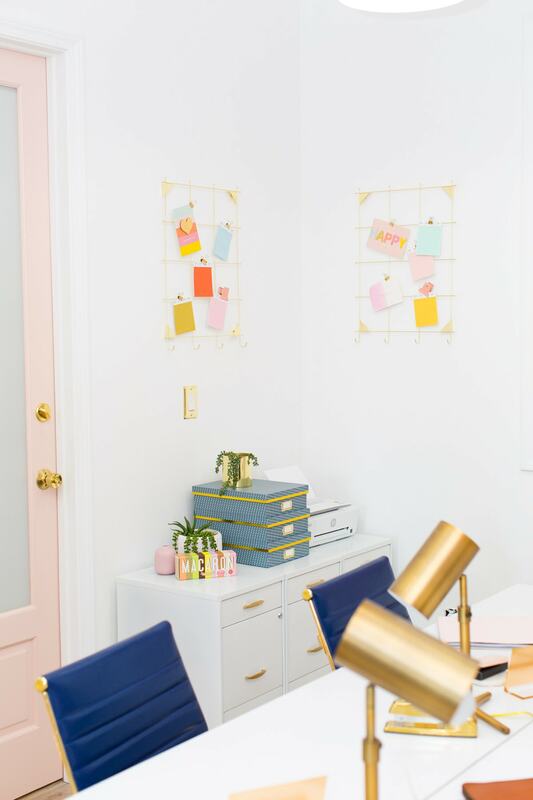 They make for the perfect pop of color in the desk area, don’t you think? 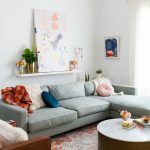 You can use code “sugarandcloth” for 20% off any order at Blinds.com through 2/28/18 in case you’re getting an itch for a New Year revamp! 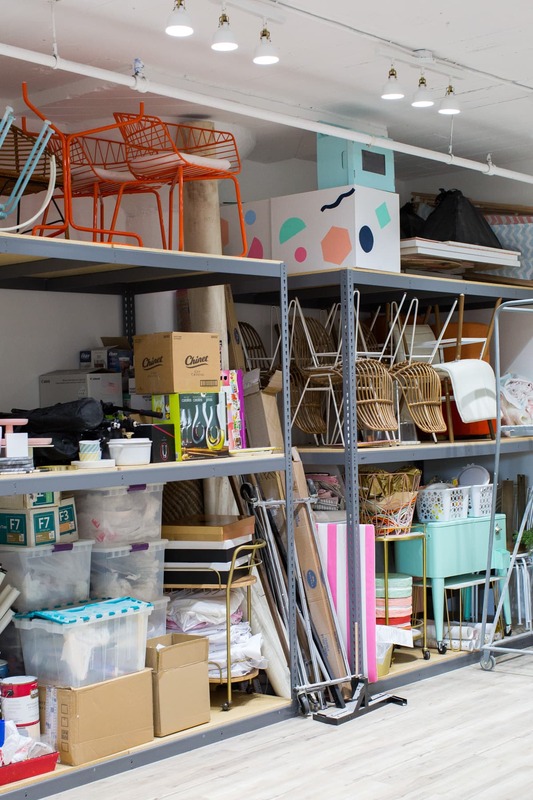 If you follow along on IG stories much, then you know we had Jeffrey Phillips in the studio a while back to help us with some organizing, so we have a WHOLE series with before, afters, DIY’s and a very satisfying balloon organization system to share with you here in the new year, too. It’s also crazy to think we’ll be adding a little one to the mix when it comes to getting back at it in the studio in 2018! I’m equal parts super excited and slightly terrified. Maybe she’ll grow up styling things for playtime, haha! A huge thank you to Milgard for sponsoring the windows in the new space, and to Blinds.com for sponsoring the window treatments! 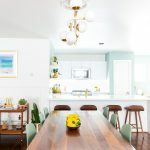 Sugar & Cloth Casa: Our Kitchen Makeover Before and After! Those Navy office chairs are IN-FRICKIN-SANE. Gorgeous!! Beautiful! 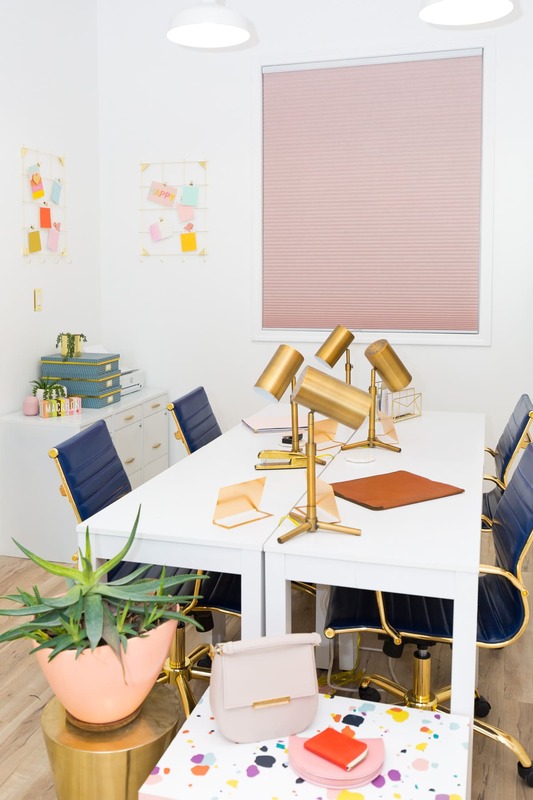 I love the pink blinds and agree with Kristina that the navy chairs are stunning. What an amazing workspace!! Lovely! 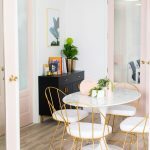 Did you DIY that table? Loved your studio renovations. I also the liked the windows you picked.